The Main Exhibition Building at the NSW Rail Museum where you will discover how the NSW railways brought life to town and country. Australia’s biggest rail heritage attraction, the NSW Rail Museum is located at Thirlmere – near Picton, just 90km from Sydney along the M5. 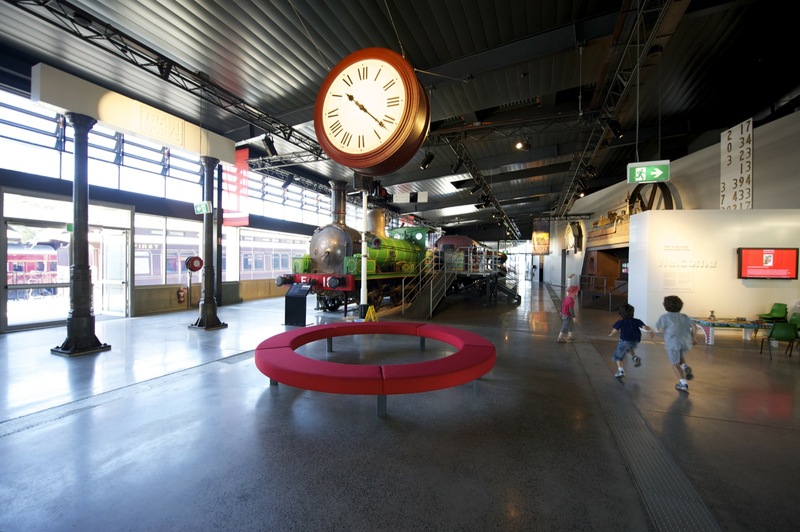 The NSW Rail Museum is a fascinating and exciting step back in time for all ages with interactive displays, kid’s activities, glimpses behind the scenes at Australia’s newest locomotive roundhouse and a priceless collection of historic locomotives, carriages, wagons and memorabilia. Heritage train rides operate every Sunday (and for advertised special events) from Thirlmere’s authentic 1880s railway station precinct. Cost: See our website or call us on 02 4683 6800. Children’s Tickets start from $11. The Cafe offers everything from freshly baked cakes, muffins and small sweets to a fresh, seasonal lunch after an enriching morning at the museum. The NSW Rail Museum has something for every trainiac in your life, from the bub who likes to "choo, choo!" to the dad who likes to do the same, and why not pick up something for yourself while you're here?